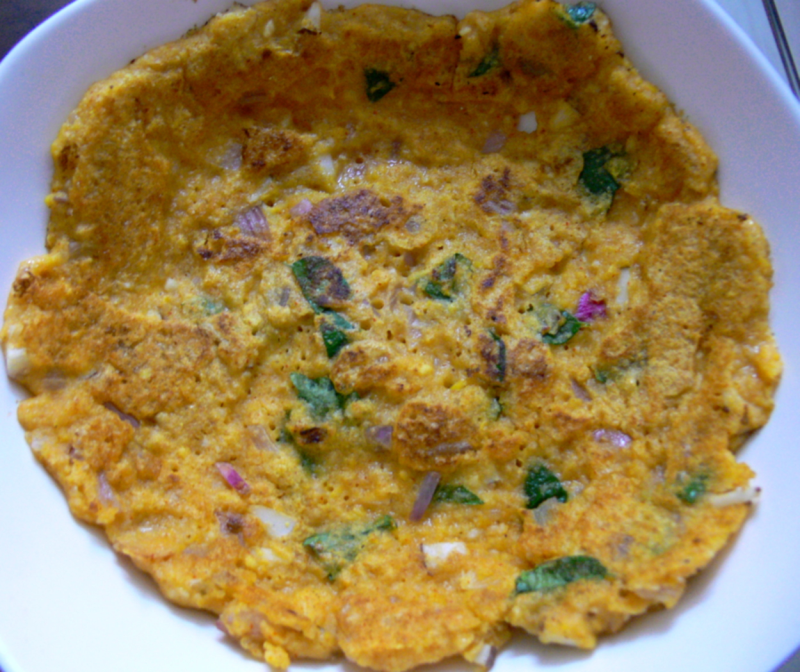 A variation of Adai - a South-Indian Speciality.U can try this adai adding 1 1/2 cup chopped spinach leaves also-The taste of the never diminishes. Soak urad dhal, toordhal, moongdhal, gramdhal and raw-rice together for 1 hour.Wash them well. Soak the oats and rice flakes together for a min and drain the excess water(immediately). Grind the ingredients in Step1 and 2 with 750ml water and red chillies - to a little coarse batter(the batter should not be fine). Add chopped onions,grated coconut,chopped coconut pieces,grated ginger,curry leaves,coriander leaves,salt and asafoetida powder.Mix this adai batter well. Heat Adai-pan(dosa pan like but curved in the centre) on medium flame and spread little oil and then spread 4 tbsp or 1 big-spoonful adai batter like dosa and pour little oil around the edges.Turn the the adai after 1 1/2 mins or till it turns golden brown on both sides.Do all the adais like this. Rajeswari,I've already submitted the carrot chutney recipe here. (U can see it in the upcoming recipes).Moreover,try to grind the Uraddal and lentils with 500ml water(use little more if u need to).The batter should be coarse and little thicker than dosa batter.